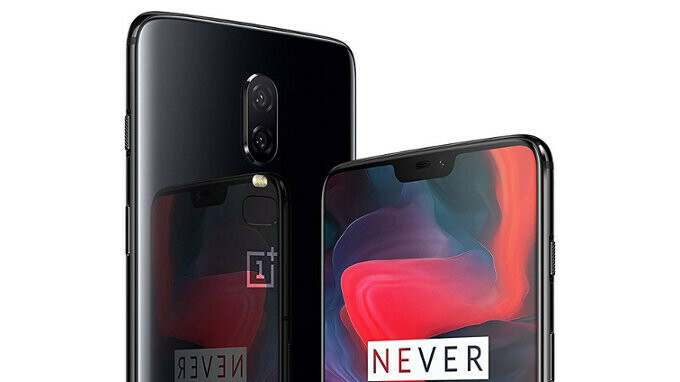 Mere days before the OnePlus 6 will be officially unveiled, Amazon Germany has made a tiny mistake and published high-res renders of the smartphone, alongside details about its price and release date. While Amazon quickly removed all the OnePlus 6 information that it inadvertently revealed, German website WinFuture still has the main details, plus new images of the upcoming device. According to Amazon Germany, the OnePlus 6 will be released on May 22. This makes sense - we already know that OnePlus plans to allow a limited number of customers to buy the phone on May 21, as long as they visit select locations. In Europe, prices for the OnePlus 6 will start at €519 for the 64 GB variant, going up to €569 for the 128 GB one. Most likely, this means US prices for the 64 GB and 128 GB models will be $519 and $569, respectively. We were expecting the new phone to be a bit more expensive than the OnePlus 5T, and it looks like that's exactly what will happen (the 5T was launched last year starting at $499). Amazon Germany listed the OnePlus 6 as having two color variants: Mirror Black and Midnight Black. However, a white version of the phone also exists, as OnePlus' CEO himself recently showed it to a select audience. It remains to be seen where (and if) the white handset will be available. As you'll see below, there is nothing surprising about the OnePlus 6 renders that Amazon has mistakenly published. The phone has a notch, a dual rear camera, and a fingerprint scanner below it - just as these other leaked renders had suggested a few days ago. Specs-wise, the OnePlus 6 will be the most advanced OnePlus phone to date, thanks to a Snapdragon 845 processor, a 6.3-inch display with 1080 by 2280 pixels, and camera that, according to OnePlus, will rival those of the iPhone X and Google Pixel 2. We're definitely looking forward to testing the OnePlus 6. What about you? People expect OEMs to have drastic design changes with each device release...it's almost as if nothing else matters except how the device looks. Yeah but the S8 is a much slower device. Come back with the original price of S8 when launched...or don't come at all. Still a smaller chin than any other Android phone out there. I see no one complaining about massive chins on likes of Huawei P20 and P20 pro, LG G7, Essential phone while still having a notch. But as soon as OnePlus does it, everybody loses their mind. Apple x has a chin, but just smaller. Plus, the side bezels are still big compared to other phones. It's sad how they just took each individual parts of Galaxy and iPhone and rearranged them into one frankenphone (maybe that's why their name, 1+1). Still progress compared to last year's clone of the iPhone. I think this is gonna be my first Android phone since 2011, while I still keep my iPhone X.
Oneplus might be raising their prices, but it still seems like a great bang for your buck regardless. We will obviously have to wait and see, but if the camera rumors are true, then it's a fantastic bang for your buck. According to leak from Amazon Germany page, OnePlus 6 also has OIS and it will also have IP67 rating. So a OnePlus 6 with S845, 8gb ram, upto 256 gb storage, back cameras with OIS and Super Slo Motion, IP67 rating, Dash Charge V2, modern design with latest Android P Beta available at launch. All this for just $20 more than OnePlus 5T. I see absolutely massive demand for this one. Not a bad phone, but yet another 6 incher is definitely not for me. Why noone wants to make a compact device with good specs and reasonable price? I don't really understand. You can check the Sony XZ2 Compact. One of the few compact phones in the market. The reason is technical difficulty. The new notch design (and also slim-bezel design like the S8) implies that some components that previously fit under the top bezel must now be spread thinner onto a larger area, and that's why the resulting phone are actually quite large. However, this looks to be a transition year, everyone does notch designs but no one besides Apple is actually ready to use such a design for making compact phones. There's only the Sony Compact XZ2 phone that I can think of, no other company seems to want to bring out a compact version with good and up to date specs. Weird. not really. compact i sno longer the way to go. yes there is some demand, but too low for the makers to come up with them. Now they reduce the bezels for a larger screen. If yo uhave small hands, it's a problem. Is there any point in getting this when the T version will be out later in the year? Is there any point in getting the T version when OP7 will be out in a few more months ? Or is there any point in getting a Galaxy S9/S9+ when Note 9 will be out later in the year ? Or a P20 Pro as Mate series will be out later in the year ? Or a Lg G7 as V35/40 will out later on the year ?